I was invited for a live interview on the radio show The Green Majority on Toronto’s CIUT 89.5FM! So make sure to catch me on the show at about 10:10am EST! Last week I received a private message from a member of the Tesla Owners Club that almost made me faint! 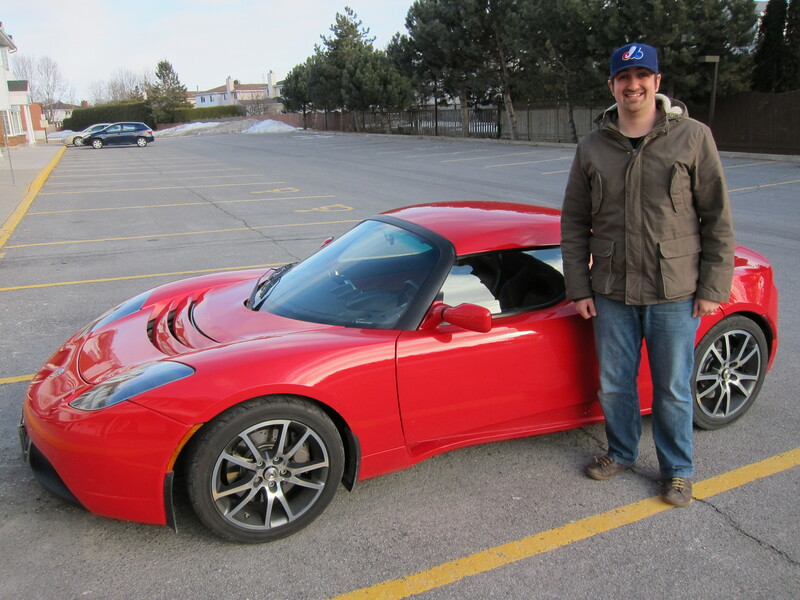 Doug, a Tesla owner from Ottawa offered me a ride in his Roadster. Needless to say, I wholeheartedly accepted! He told me he would call me when he was available during the weekend. I received that glorious call yesterday afternoon. I’ve been getting a bit more attention at work since the interview on CTV. My story has just today been published on our corporate intranet which was pretty cool! 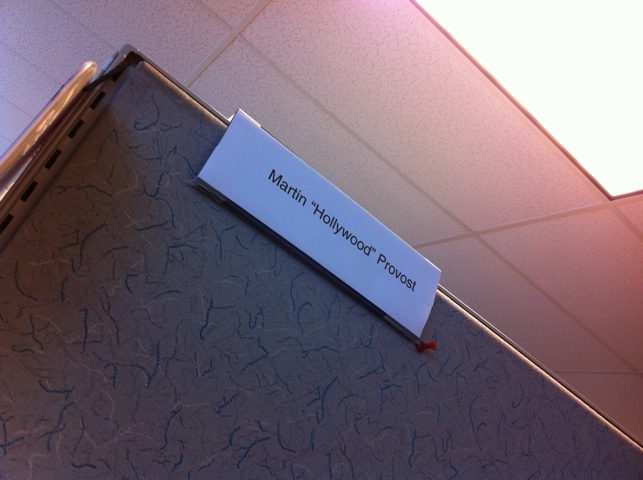 My colleagues even changed my name plate (see below). I’ve been working at Innovapost for over 6 years now and I have to say that it’s a great place to work and the people that I work with everyday cannot be beat! Awesome team! Watch my CTV interview now! I was able to record the interview on CTV and I posted it to YouTube. 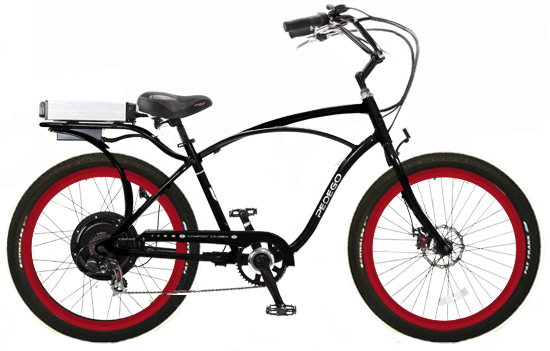 Pardon the picture quality – Enjoy! Watch me on CTV News tonight at 6pm! The past few days have been extremely exciting and nerve racking for me. After the folks at Swapsity.ca sent out a press release about my story – I got contacted right away by our local CTV station and they scheduled me in for an interview for this morning and also setup an interview with the founder of Swapsity.ca, Marta Nowinska in the process. She did the interview via teleconference from the CTV Toronto office. I’m glad to say that both our interviews went well – and for my first ever on camera interview, I think I did did a good job. They informed me that it will be aired tonight so make sure to catch Marta and I on the 6 o’clock news on CTV Ottawa tonight.